Began their missionary career when they were first converted in Rome in 1975 through an evangelistic tent crusade. They joined the team of Christ is the Answer and traveled with them for 3 years in Europe and then went with a team of 18 to the Philippines. It was here the Lord showed them the value of discipleship and they saw the need for more than just evangelizing. 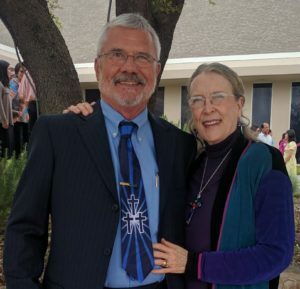 After spending 2 years back in the USA in 1978-79 they immediately found a local church in Wylie. During this time they felt such a burden for the Philippines that in 1980 their home church ordained, commissioned them, and sent them to help fullfill the Great Commission. The Lord led them to a much neglected province in the Bicol region of the Philippines. They spent the next 10 years of their lives doing church planting and teaching to bring believers to maturity in Christ. During this time they planted 4 churches. Realizing they must remove themselves for the leaders to take full responsibility, they turned over the churches to the local Elders and Deacons the Lord had raised up during their ministry there. They were based in Singapore for the next 11 years, 1990-2001. Working in conjunction with another ministry, they spearheaded the paradigm shift of the mission from starting institutional style Bible Schools to a modular type program that takes the Bible school to the people, instead of the people having to go to the Bible school. They traveled extensively in Asia doing leadership training, based much on their experiences from their 10 years in doing church planting. In 2001 they changed their base of operations to the USA but still traveled extensively in Asia and also to Africa and the Ukraine doing leadership training. They began a new ministry called Equippers Group International (EGI) in early 2004.